The company logo is made as a profile from polished and plated metal. 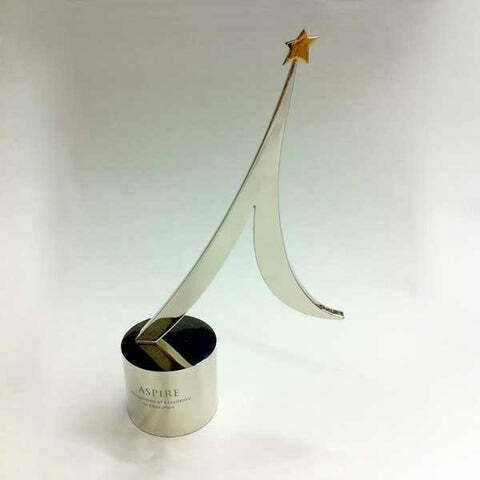 A golden polished and plated metal star is attached to the top of the award. 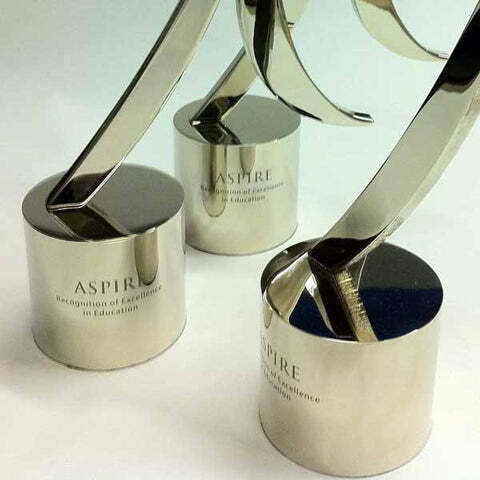 The award details are engraved onto the solid, polished and plated metal base.